Anker is known for having generally solid products at reasonable prices. 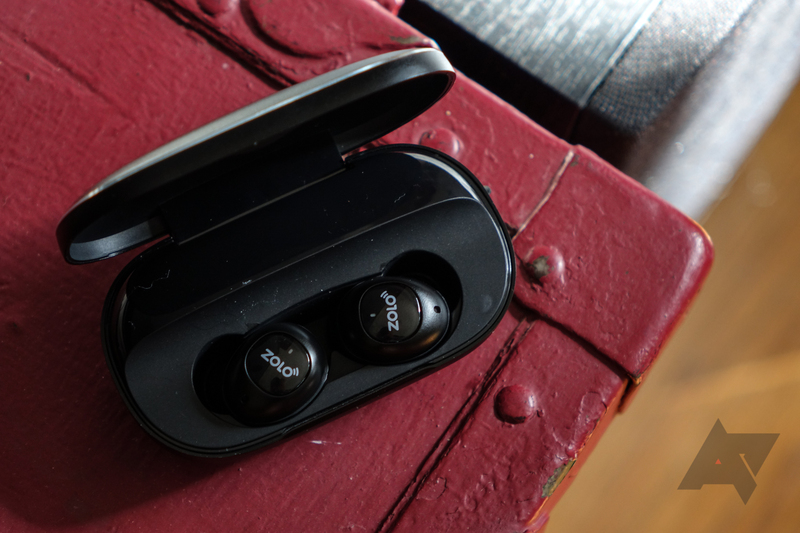 It's no surprise, then, that its Zolo brand produced a very competent pair of fully wireless earbuds in the Liberty+. They're already a fine deal at their normal price of $150, and right now, you can snag a pair for just $99.99 on Amazon. The Liberty+ sound pretty nice and maintain a surprisingly strong connection. They last about three hours on a charge, and their included charging case can top them up an impressive 10 times over (that "48-hour battery life" the listing touts is for the buds and the case, and it's a bit of a stretch). In his review, David said the Libery+ "may strike the right balance of value and practicality that many people are looking for before taking the plunge into the truly wireless earbud world." That's about 33 percent more true at their current price. We've seen these buds on sale before: they were $119 in February and $109 in May. This is the best price we've seen them go for, though. 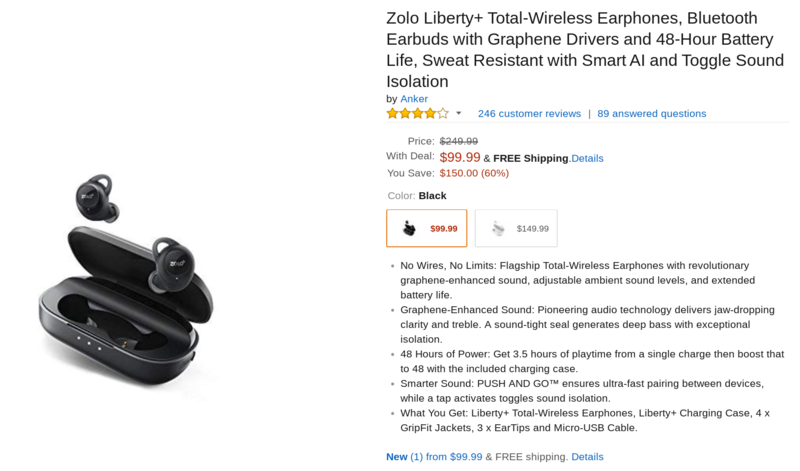 The Liberty+ aren't quite perfect, but they're a heck of a bargain at this price. It only applies to the black model, but that's probably the one you want anyway. Head over to Amazon and pick a pair up while you can.